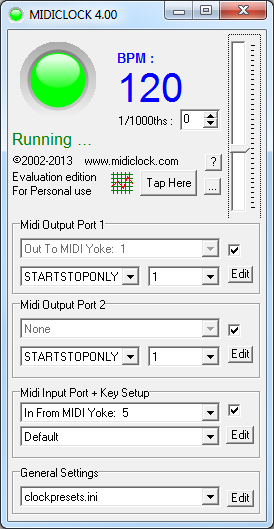 MIDIClock 4.00 is released ! If you want more information, take a look here. - The width and height are now stored in the application_presets section as : MAINSCREENPOSITIONWIDTH and MAINSCREENPOSITIONHEIGHT . - input 0xF5 now is defined as : multiplier 1 with offset 40. This will give a controllable bpm range "41 to 168"